This SUV brings driving to life or life to driving depending on your perspective! 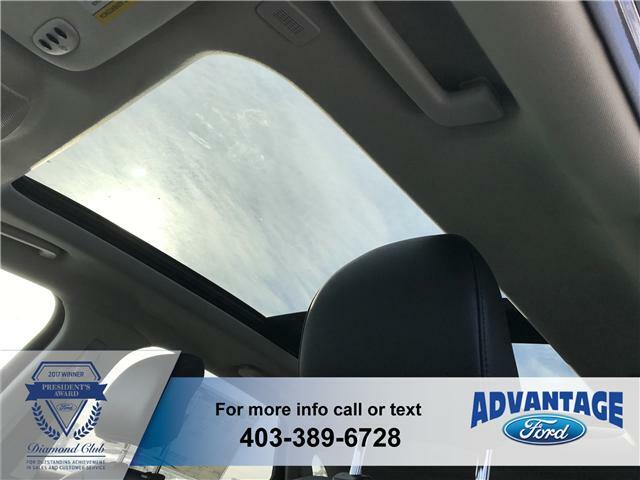 As an SEL AWD vehicle, you fill find a huge list of features/options included. Performance and safety are paramount for both you and your passengers. The Baltic Sea Green is a new and highly sought after finish that draws attention to the vehicle where ever you go. 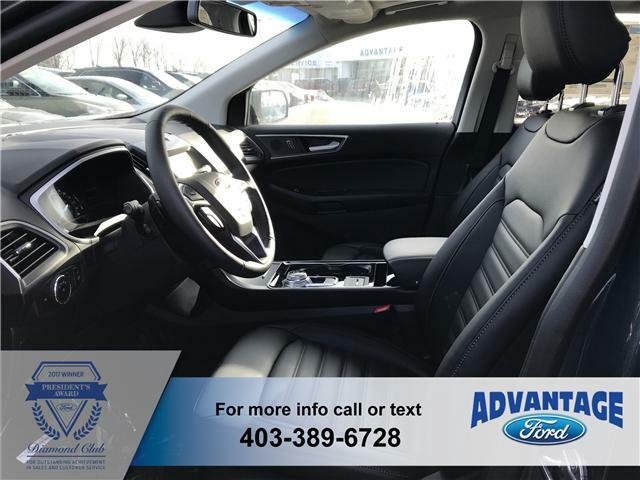 A few of the many features/options included are: perimeter alarm, voice activated navigation system, universal garage door opener, heated steering wheel with the tilt/telescopic feature, front and rear floor liners, heated windshield wiper de-icer, power/heated front seats, overhead console with storage, 8 cupholders, first row console, BLIS (blind spot information system) with cross traffic, FORDPASS™ Connect, intelligent access, lane keeping system, MYKEY, pre-collision assist with automatic emergency braking, remote vehicle start, reverse camera system, reverse sensing system, SYNC®3, tire pressure monitor system and more. Engine: Twin-Scroll 2.0L EcoBoost Includes auto start-stop technology and active grille shutters. Front Heated Unique Cloth Bucket Seats Includes 10-way power driver's seat (fore/aft, up/down, recline, tilt, lumbar), 6-way power passenger seat (fore/aft, up/down, tilt with manual recline) and manually adjustable head restraints. Radio: AM/FM Stereo/MP3 Capable Includes 9 speakers, SiriusXM with 6-month prepaid subscription, speed-compensated volume and USB media hub. Subscriptions to SiriusXM sold by SiriusXM after trial period. If you decide to continue service after your trial, the subscription plan you choose will automatically renew thereafter and you will be charged according to your chosen payment method at then-current rates. Fees and taxes apply. To cancel you must call SiriusXM at 1-888-539-7474. See SiriusXM customer agreement for complete terms at www.siriusxm.ca. All fees and programming subject to change. Sirius, XM and all related marks and logos are trademarks of Sirius XM.SYNC 3 Communications & Entertainment System Includes enhanced voice recognition, 8" LCD capacitive touchscreen in centre stack with swipe capability, pinch-to-zoom capability included when equipped with available voice-activated touchscreen navigation system, AppLink, 911 Assist, Apple CarPlay and Android Auto compatibility and 2 smart-charging multimedia USB ports. Tires: 245/60R18 AS BSW Includes mini spare. Wheels: 18" Split-Spoke Sparkle Silver-Painted Aluminum. Includes mini spare. * Every reasonable effort is made to ensure the accuracy of the information listed above. 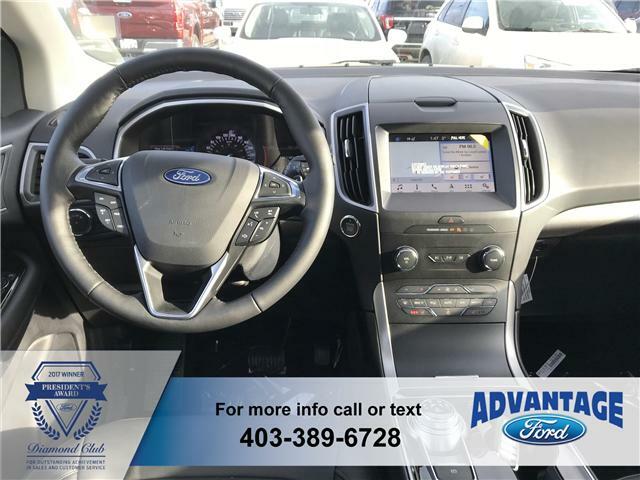 Vehicle pricing, incentives, options (including standard equipment), and technical specifications listed is for the 2019 Ford Edge SEL may not match the exact vehicle displayed. Please confirm with a sales representative the accuracy of this information.